Put your feet up, breathe a sigh of relief and relax. Workbusters is here to take care of all your cleaning needs, so you don’t have to worry. We clean homes, small offices, residential buildings, commercial premises; we provide one off cleaning for end of builders cleans or end of tenancy cleans or even for those deep spring cleans so your home regains its sparkle. We provide many specialist cleaning services for inside and outside the house. We send top-quality, thorough London cleaners to clean your flat, house or business. We will always try to send the same person so that he or she can get to know your house or business. They get to know your needs and will often be able to predict a need before you even know that is what you wanted. If a cleaner goes on holiday we will replace them with a cleaner of the same calibre so your home is always clean and sparkling. Our friendly teams of trained, efficient, thorough and speedy cleaners will take the dust and grind out of your life and add sparkle and shine leaving you time to do the things you want to do. Our cleaners are available seven days a week at a time or day that suits you. We have been cleaning and servicing homes and businesses in London since 1990. Our founder and managing director, Lael Nelson, believes in personal, friendly and efficient service so that you get what you want, when you want. With a satisfied client base of already more than 500 customers, both residential and commercial, we know we can do the jobs you’d rather not. Whether small or large, regular or one-off, we can deliver the cleaning services you need. Let us workbust your cleaning and bring order to your home or business. All with complete customer satisfaction and peace of mind! 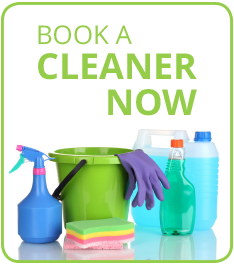 Call us on 0207 751 2345 or e-mail [email protected] now to book a cleaner. Alternatively, use our online form!